Dietary supplement efficacy studies are often based on published literature of similar products, which fails to consider product-specific attributes. This produces ambiguous results that may not support the product claims, leading the Sponsor to lose a significant investment in time and costs. 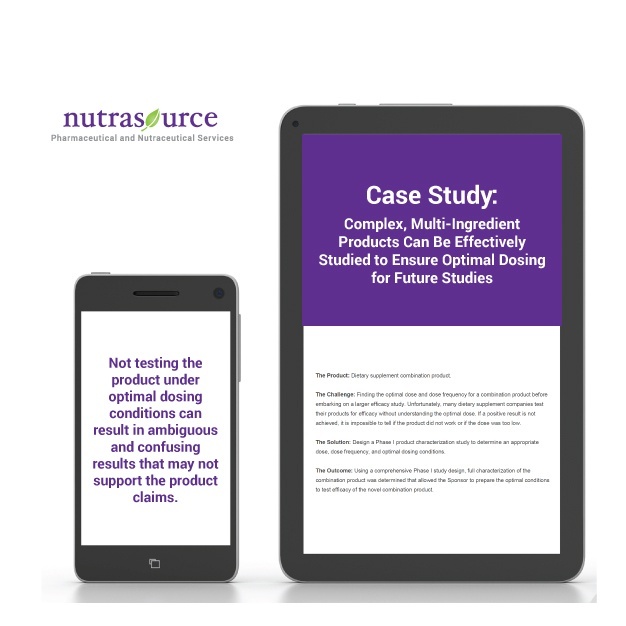 Download this case study to learn how Nutrasource assisted a Sponsor in characterizing a combination dietary supplement using a Phase I clinical trial to determine an appropriate dose, dose frequency, and optimal dosing conditions.